Children and pregnant women mortality rate was rather high in Andhra Pradesh. The problem was more in rural areas as there was lack of proper medical assistance. But the state government is all set to change the situation with the implementation of Basavatarakam Mother Kits Scheme. Under this scheme, pregnant women will receive a special kit from government hospitals, once the baby has been delivered. Women and child welfare – The activation of this project offers state government a chance to improve the medical facilities, available in the government hospitals. Reducing mortality rate – The aim of the state government behind the implementation of this project is to bring down the mortality rate in the state. Apart from this, the scheme will also encourage women to opt for institutional deliveries. With successful implementation of this project, the rate of institutional deliveries will increase to 45%. Estimated budget for the scheme – As of now, the state is expected to spend as much as Rs. 37.70 crore for the implantation of this scheme, on an annual basis. Government hospitals – The scheme will be implemented through government hospitals only. All pregnant women who deliver their babies in government hospitals will receive this special kit. Total beneficiaries – According to the reports, offered by state government, as many as 5.7 lakh kits have been delivered to new mothers. Residential criterion – This project is the brain child of Andhra Pradesh government. If the women are not legal residents of this state, then they will not attain this kit. Thus, applicants must produce their residential papers. 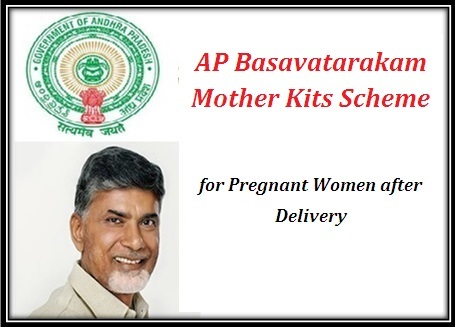 Delivery criterion – Only those pregnant women will be able to receive these special kits that give birth in government run hospitals. This scheme is not applicable for private institutes. Aadhar card – Applicant must offer attach a copy of their Aadhar cards. This document will be attached with the application form. The application process is very simple. When a pregnant woman takes admission in a government hospital, her details will be recorded. After the delivery, she will receive this special kit from the hospital. The kits will be supplied to these government hospitals from the respective departments. Not all schemes meet the expectations. This scheme has found itself in troubled waters, shortly after the official implementation. The High Count has issued a stay order on this project. The report highlights two specific reasons. The first reason states that the selection of names was not appropriate. The project has been named after Nandamuri Basavatarakam who had direct link with Andhra Pradesh state authority. The second reason states that the tender process, followed by the state authority is flawed. One of the companies highlighted that a certain company receive the tender to supply the kits even if it listed a higher price. The successful and smooth implementation of this scheme depends on how fast the state resolves these matters.